My fave event at the Craft Hobby Association Show in Anaheim is the Prime Publishing Blogger Networking Event. I love putting faces in person, to folks I’ve become friends with in type. And when you get home, the swag arrives, big time! 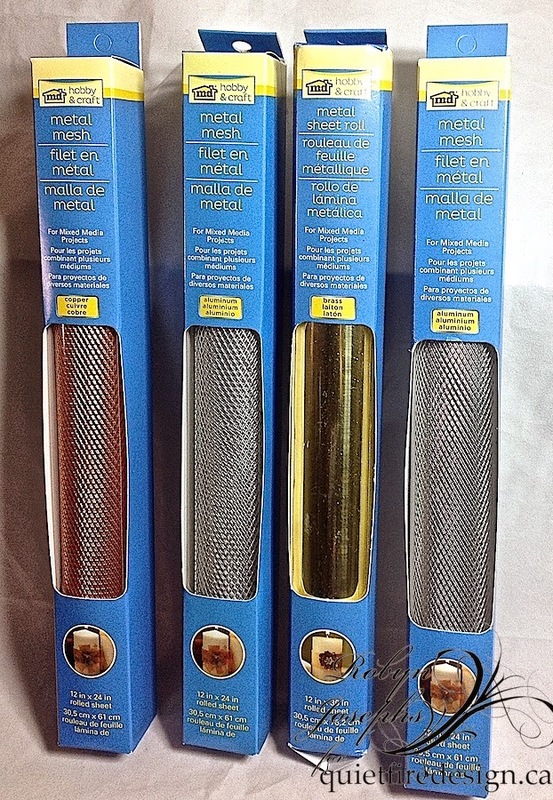 This year I got a large selection of metal and metal tools from MD Crafts. 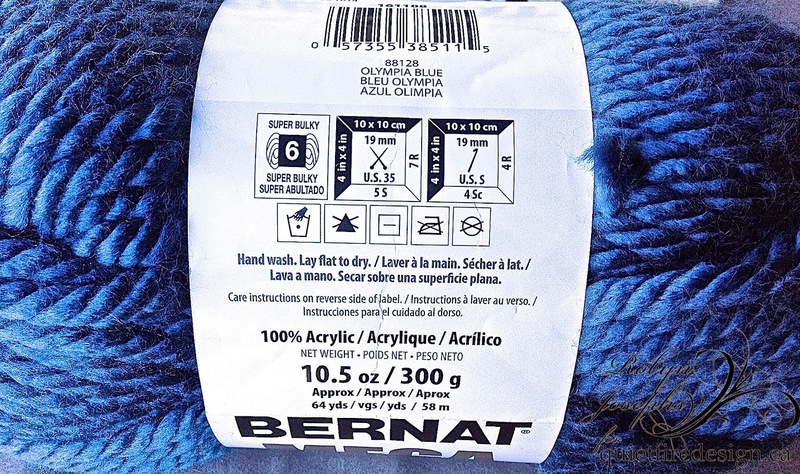 and a Mega Bulky acrylic yarn from Bernat. 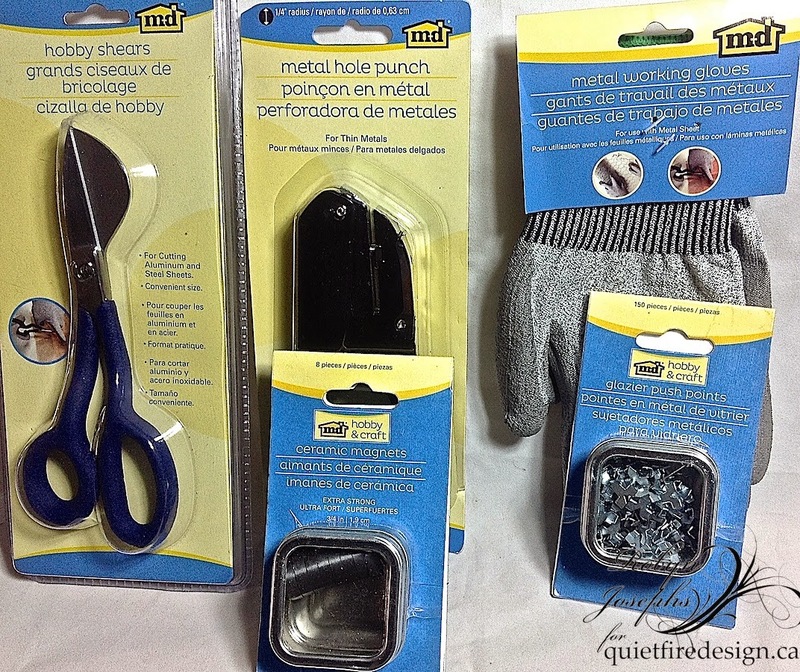 I never would have chosen these materials and tools for myself, and they really got the creative juices flowing. 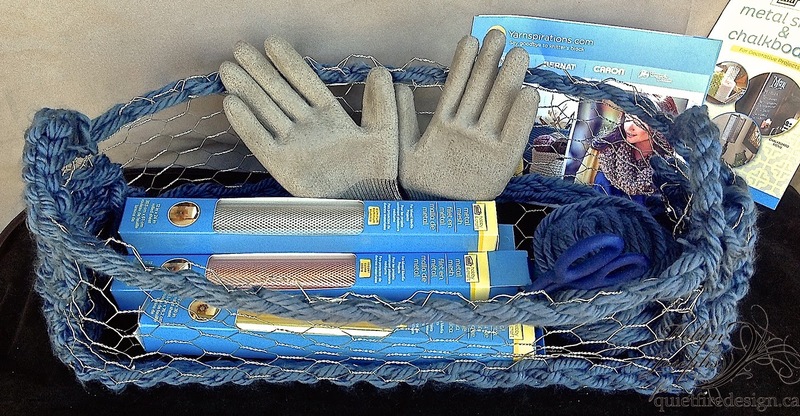 Wearing the gloves, use the shears to cut a piece of chicken wire about twice as wide and long as the basket you want to make. 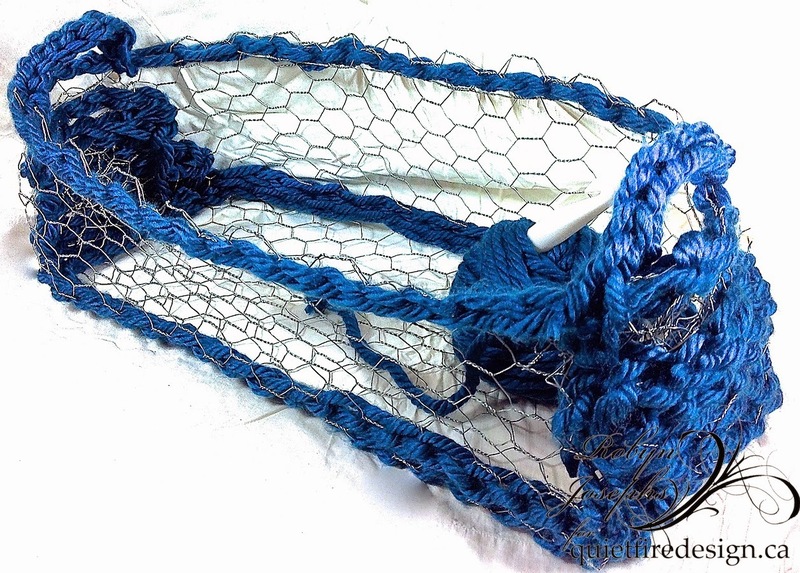 Folding and bending the wire, mold the wire into a basket shape, tucking in sharp edges. Be sure to fold over the top rim for stability and strength . Starting at the top make a loop with the yarn and begin finger crocheting around the rim. 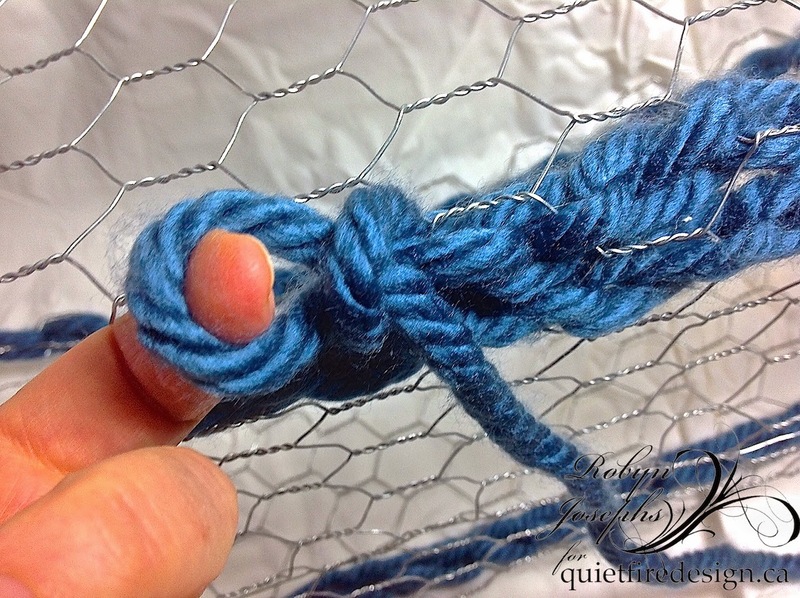 Using your finger, poke the yarn though the wire holes and pull the yarn through creating a chain stitch. Starting at the bottom, build up the sides in the same way, going back and forth in rows through the holes in the wire. You could add beads or other embellishments in at this point. I did try using a 15mm hook, and decided fingers worked better ! 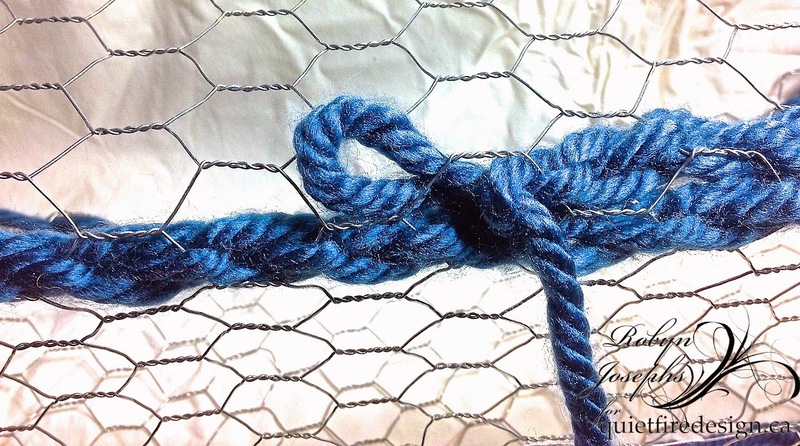 If you have sharp areas or wire, use extra stitches to cover them. At the top rim, chain about 7 stitches to create a handle and secure with a slip stitch. Repeat building up the other side and making a handle. You could use your basket to hold your new craft tools…or carry veggies in from the garden, or what ever your imagination can create! What would you like to use this basket for? Are you proud of your home state? You should be! 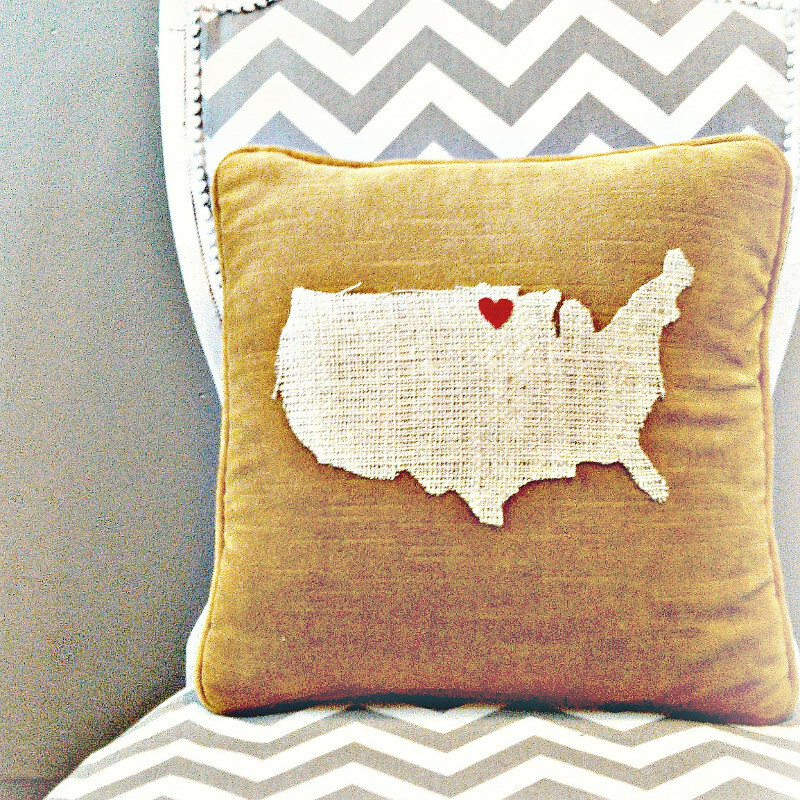 Here at the FaveCrafts Blog we’re thrilled to explore these DIY craft projects that represent each of the 50 States. Browse through this collection of state craft projects and find out which one best suits your design style. 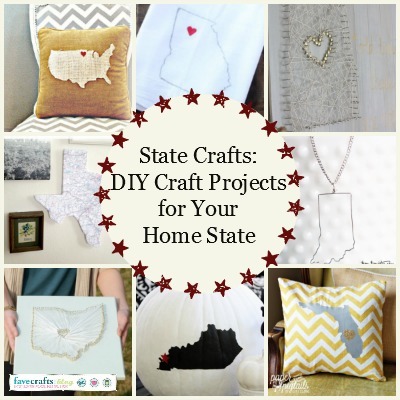 Whether you’re proud of your state flower or even your state bug, you’re sure to find crafty inspiration in this group to effectively represent home. Iowa Wall Art from Life. Love. Larson. 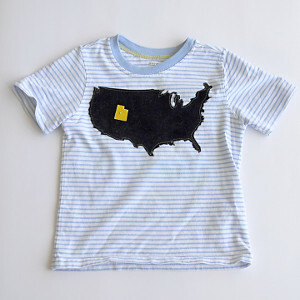 New York Memo Board from Brit + Co.
Texas State Map Love from C.R.A.F.T. 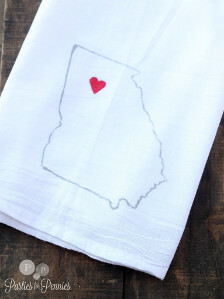 What craft would work best for your home state? Meet Our Brand New Yarn Blog! Be honest: did you dream about yarn last night? 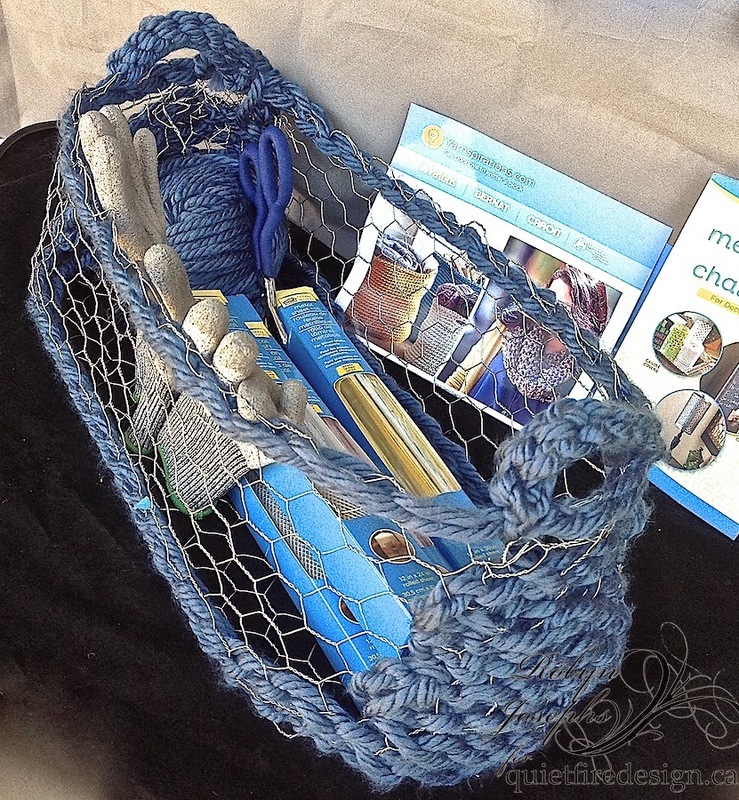 Did you wake up on the couch this morning with knitting needles or a crochet hook still in hand? If you answered yes to either of these questions (or if you happen to be a self-confessed yarn-aholic like myself) then we have super exciting news for you! We are launching a brand new yarn blog called Stitch & Unwind – today! 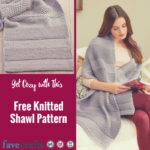 So if you love knitting or crocheting, come on over to the Stitch & Unwind blog to get all the latest tips, sneak peeks at exciting new products and tons of free tutorials from AllFreeCrochet.com, AllFreeKnitting.com and AllFreeCrochetPatterns.com! Aside from tons of great projects, you’ll also get to “meet” talented designers in the yarn industry, test out their patterns, and explore some of the best knitting and crochet videos that the web has to offer. Did we mention that you’ll also get to win stuff? Yep, every week you’ll have a chance to win a special prize just for answering our weekly question in our Readers En-gauged posts! This all sounds great, right? 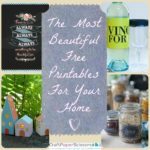 In fear of sounding like an infomercial: that’s not all! We’ll also be featuring weekly guest posts from talented yarn bloggers and designers, including Micheal Sellick from the Crochet Crowd. They’ll share special tips, tricks, projects and pretty much anything else you’d ever want to know about yarn, knitting and crocheting! Interested in writing for us? Just send us an e-mail to find out how you can get involved! 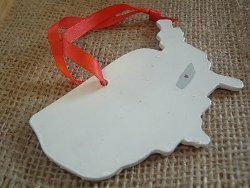 And don’t forget that we’re giving away a prize a day every day here on the FaveCrafts blog for National Craft Month! It is so easy to enter. Just go to our Project of the Day post and comment to enter! Tune in every day to see if you are the winner! So tell us, what kind of posts do you want to see on our brand new blog? Mikey is back at Spinrite Factory Outlet on February 25th from 10am – 3pm. This month he is concentrating on Loom Knitting. 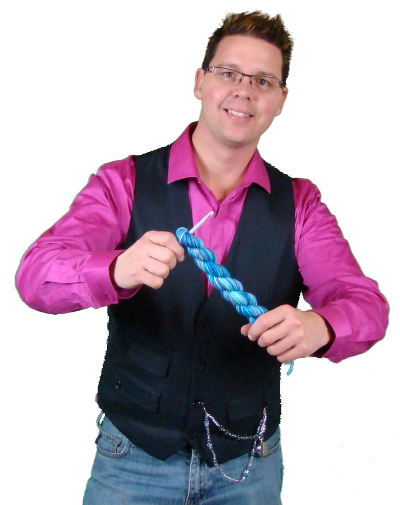 He will be showcasing looms by Crafting Essentials and Authentic Sock Knitting; this is a free workshop and there are several throughout the day. The classes book quickly as Mikey takes only six students at one time. He finds having more than six at one time throws off the learning experience and people don’t learn as much. He prefer students to understand what they are doing by the end of the class instead of just getting a general idea. There will be discount sales going on during this event. There is also desserts and coffee being served throughout the day. Store opens at 10 am and coming early ensures you can get coffee and dessert before they run out. The show we are doing, “Coffee Talk”, is from noon – 1pm. This means Mikey is taking a break from teaching. He’s going to have a lunch break where anyone is invited to join; bring your lunch and sit with Mikey and gossip about creativity with him. Limited seating and space. Just show up, the store is not booking for this added experience. Try this loom knitted scarf by Mikey called the Crystal Scarf. People are loving this quick little project and looking all fabulous with their scarves when they are done. 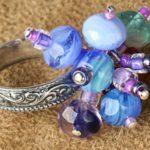 Have you ever seen this Jewelry Crochet Kit before? It’s called Art Party Kits by Art Night Out. Art Night Out is from Maine, USA where they specialize in creating a fun night out at their studio. They have a unique mix of different genres of crafting; there seems to be something for everyone. They realized there was a need for Party Kits where people want to have all the supplies to be able to teach others. 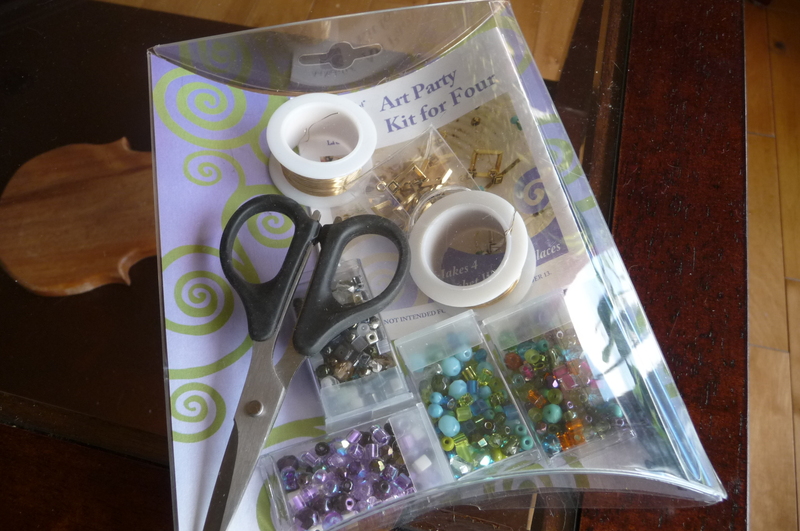 This kit allows you to host a party where the focus is creativity. Kits range in different sizes depending on the party you have. The kit you see above is for 4 people. I’ve done this before where I charged my friends a fee for learning crochet jewelry with me. 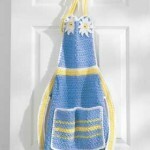 Using these kits, you get everything you need such as crochet hooks, beads, wire, clasps and more. I don’t feel bad about charging my friends because all of these materials cost money. My expertise and hands on instructions are worth some money as well. Bought the kit so I had everything on hand. The kits have a great selection of products inside to really make interesting jewelry that adults and kids would appreciate working on. I charged a fee to attend my course in my home. The fee includes the materials and my time. I worked out the course fee to be about $30. In one course, this kit can bring in about $120. Minus the kit fee and the rest is in my pocket for a rainy day! I can make money on the side by hosting creativity parties such as this. It’s a great little idea that has really neat cash earning potential. If you get some of these kits you can throw a party of your own! Make some crochet jewelry that you’ll wear forever. Welcome to the fourth issue of the FaveCrafts Craft Rooms Exposed series! As promised in our monthly craft question post, every day this week we’ll be featuring the inside of a famous craft designer’s craft room. Get inside tips from some of our favorite bloggers and designers and find out how they turn their craft rooms into lean, mean crafting machines! And now without further ado, let’s explore our first featured craft room. How does a love for dressing up dogs turn into a career? Find out Sara turned her passion into a full time job on her AllFreeCrochet designer profile. Here are a few pics of my Craft room – yarn room, as my hubby calls it. Organization is the key for me. 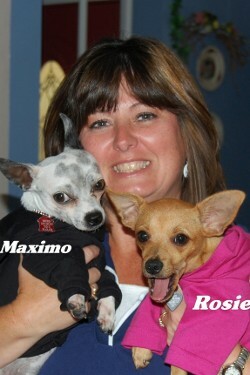 My main craft is crochet and yarn, I design crochet patterns and items for the pooches. I need to find the right yarns and embellishments quickly. So I use the clear drawer style bins to sort my yarns, as well as the big Clear bins for over stock (yarn I got on sale!) 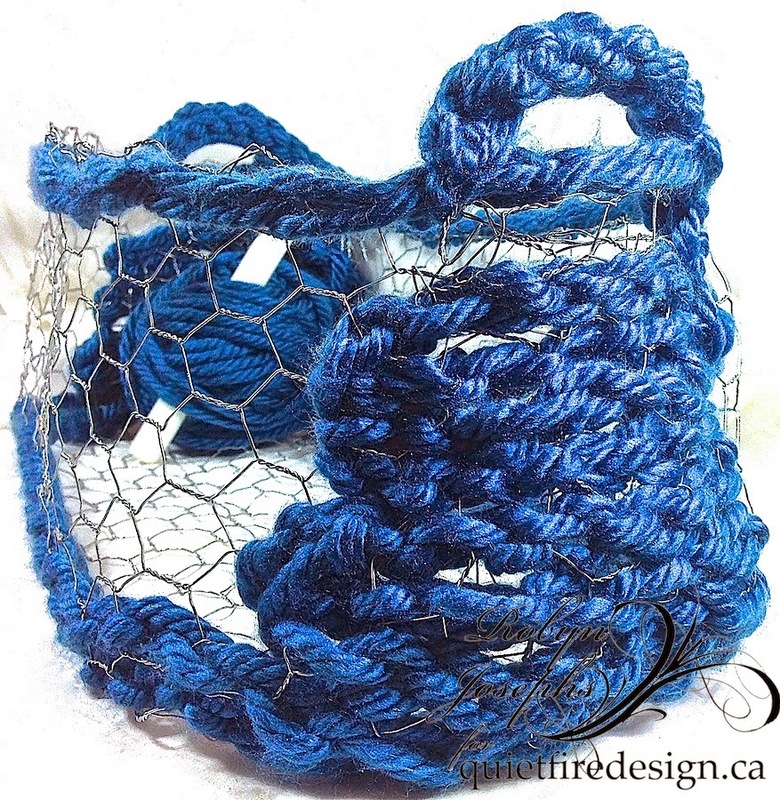 I love yarn, all types…I have been called a yarn addict and a yarnavour, as well as a yarn hoarder, but I love yarn and always have a project in mine when I purchase it. Welcome to the second issue of the FaveCrafts Craft Rooms Exposed series! As promised in our monthly craft question post, every day this week we’ll be featuring the inside of a famous craft designer’s craft room. Get inside tips from some of our favorite bloggers and designers and find out how they turn their craft rooms into lean, mean crafting machines! And now without further ado, let’s explore our first featured craft room. Want to know what motivated Michael to share his creativity on YouTube? 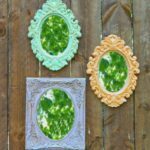 Check out his profile on FaveCrafts. My crafts are mostly yarn and I organize them by brands instead of colors. In projects, I usually don’t switch brands. My logic is that if I know all brands are in one slot and I don’t see a color I need, I know I need to replace it or think of something different. Many people have told me to organize by color but I can see my stash being ripped apart just to see if the colour bin actually has the brand I need. I also make sure I have a lot of yarn of different shades to ensure I got my basis covered, especially with scrap-ghans. Thanksgiving is over and the holiday season is now officially here. Bright lights, red bows, gift-giving and smiling people – the holidays seem to bring the best in us. This year, FaveCrafts and Red Heart Yarn hope to make your holiday celebrations even more special with their new eBook: Jolly Holidays: 15 Free Knit and Crochet Gifts and Holiday Projects. 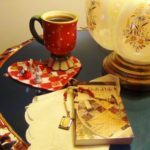 Download your copy of Jolly Holidays: 15 Knit and Crochet Gifts and Holiday Projects free eBook from Red Heart Yarns today. Thanks to Red Heart, free patterns for Christmas projects fill the Jolly Holidays eBook. This fabulous free eBook contains crochet Christmas ornaments, patterns for easy crochet Christmas gifts, free knit Christmas ornament patterns, and more. 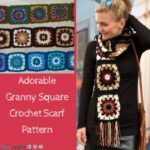 In addition to great knitting patterns for Christmas tree ornaments and crochet patterns for Christmas ornaments, the Jolly Holidays eBook includes knitting pattern for fingerless gloves and easy crochet projects like crochet hat and crochet scarf patterns. You’ll love making your holiday celebration as unique and special as those who take part in it. Get all of your decorations and gifts made well before December 25, using the Jolly Holidays: 15 Knit and Crochet Gifts and Holiday Projects eBook free from FaveCrafts and Red Heart Yarn as your source of inspiration. This tutorial needs a name. What would you call this. This could be an afghan? Table Topper? or Christmas Tree Skirt? I’m now approaching the 2,000 mark for the amount of videos in my collection. I’m running out of brilliant names and need your help. View This Tutorial Now to access this tutorial and see what you think it should be called. This was originally designed for my Christmas Tree. You can tell because it has a built in hole in the centre for the artificial tree. I think it could be for multiple uses so I think it’s possible to have another name for this. This was constructed with Bernat Mosaic Yarn. You can find the written pattern on my website. Using this blog entry, make your comments below for what you believe the appropriate name will be. The winner will be chosen based on uniqueness and originality. Please keep in mind that tutorial names should be short, sweet and to the point. The final decision will take place on November 15th, 2011. The video on YouTube will be renamed to match. I will also make a mention in the description of the video of the winner who suggested the new title. For another free christmas skirt Pattern, AllFreeCrochet.com has everything you possibly need. Using the Super Star Patterns as shown on this video, I have converted them into super extreme stars with just changing my hook. Learn how I did it here. I kid you not, the super star I am holding up is only 4 Revolutions. It is that fast to get to those sizes. 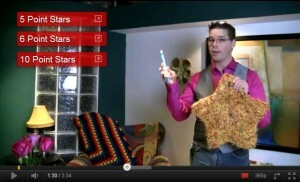 In this tutorial I will show you how to extreme your stars. I give you links inside the video to take the 5 Point Star, 6 Point Star and 10 Point Star Patterns and convert them to Super Stars in a snap. Changing your hook to P Size and increase how much yarn you use will instantly change virtually any pattern you may have. 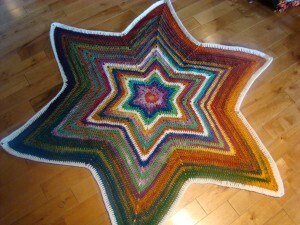 Here’s another free crochet pattern showing the Aruba Star. 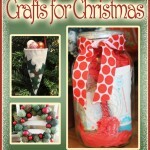 Have a Handmade Holiday with the 10 Dollar Store Crafts for Christmas free eBook!